A 1957 Ferrari with racing history deeper than its new owner’s pockets initially took the title for most expensive car ever sold at an auction on Friday. But that may not be the case—due to changes in currency values, the car is now in a strange competition with another Ferrari for the title. 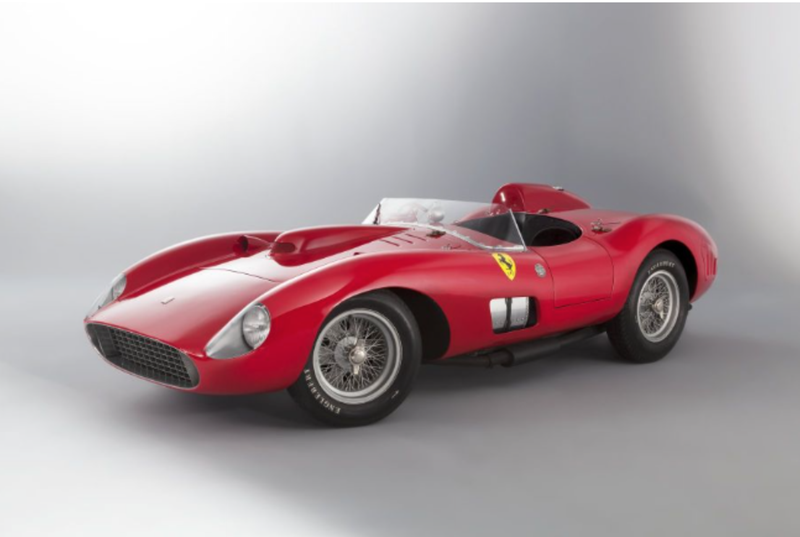 Following the sale of the 1957 Ferrari 335 Sport Scaglietti for 32.075 million euros in Paris, auctioneer Artcurial Motorcars sent out a press release regarding the new world record for most expensive car sold at an auction... in euros. That last part turns out to be a pretty important one, since CNBC pointed out that the value of the dollar has gone up in comparison with the euro since the sale. When measured in dollars, the Ferrari sold for $35.7 million. Compare that to 2014, when CNBC reports that a 1962 Ferrari 250 GTO Berlinetta sold for $38.1 million including fees at a Bonhams auction. At the time, the car took the title for most expensive one sold at an auction and its dollar figure translated to 28.5 million euros. Higher in dollars, lower in euros. That is a dilemma. Technically, either car could hold the record and either auction could claim the bragging rights associated with selling it—it all depends on which currency you want to use. Perhaps we’ll get some kind of clarity on the issue soon. Even if it doesn’t turn out to be the most expensive car sold at an auction, the 1957 Ferrari still has plenty of titles behind it. According to the auctioneering company, the car set a record for average lap speed in the Le Mans 24 Hours and won the Grand Prix of Cuba in 1958. It also hosted top drivers such as Stirling Moss and Mike Hawthorn in its era, according to the BBC. The BBC reports that the only description given of the car’s new owner is that he or she is an “international buyer.” And no matter which title this particular Ferrari ends up with—first or second in the record books—it still went for a whole lot of money. But it is a whole lot of car, too.